Simply plug the USB port and provides access to wireless LAN wireless LAN unit. Connect the USB interface and USB port that supports a notebook computer if you use any desktop. Wireless LAN client connected to a PC immediately Nearby PC system, enables high-speed 11Mbps data communication. 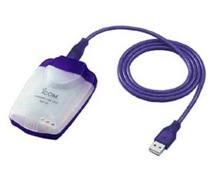 Due to the nature of USB, the computer automatically recognized the USB PC port of this product only (Plug and Play feature), and is easy to configure. In addition, we also support hot-plugging a product that can be detached freely without turning on the PC. Version: Ver. 2.30. Release date: 2001/11/16. File Size:1.3 MB.